Working with Head of School Sheila Culbert, the Head’s Administrative Team (HAT) manages the day-to-day operations of the school. Comprised of senior administrators, all HAT members report directly to the head of school and meet weekly as a group. Richard Esposito joined Loomis Chaffee in 2010. As CFO, Rich leads the school’s financial activities, including budgeting, financial reporting, and strategic planning. He also oversees the business office; building projects; information technology; and dining services. In addition, Rich is an assistant coach for Loomis’ varsity football team. Rich holds a B.S. in Finance from Georgetown University and an M.B.A. from The University of North Carolina at Chapel Hill. 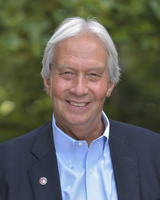 Nat Follansbee joined Loomis Chaffee in 1975 as an English teacher, coach, and dorm resident, eventually becoming head of Batchelder and Taylor Halls. In 1986, Nat took on a new challenge as director of development and later was named associate head for external relations. 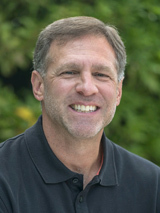 In 2003, Nat left Loomis to serve as president of the consulting firm Browning Associates Inc. Nat returned to Loomis in 2010 as associate head for external relations; in this role he oversees development and alumni and parent relations and also serves as secretary to the Board of Trustees. Nat holds a B.A. from Hamilton College. Lance Hall came to the Island from Quinnipiac University in 2012 and has served in variety of roles since his arrival. He has worked in the Engineering department, has served as Project Manager, Assistant Director and currently serves as Director of the Physical Plant. Lance provides oversight for all maintenance & repairs, groundskeeping, housekeeping, campus services, mail department, campus-wide construction projects, facility planning, environmental & regulatory compliance. Kelly Hasenbalg joined Loomis Chaffee in 2011 as director of human resources. In this role, Kelly manages payroll and benefits, staff and administrator recruiting and staffing, HR policy development and documentation, performance management systems, and compliance. Kelly is SPHR certified and holds a B.A. from Assumption College and an MSW from Boston College. 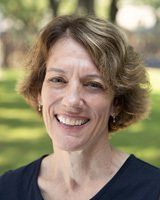 Mary Liscinsky joined Loomis Chaffee in 2010 as dean of student life and a dorm head. 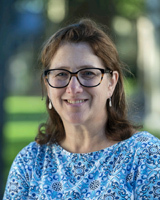 In her role as dean, Mary oversees the Norton Family Center for the Common Good, deans of students, the health center, counseling, the office of international students, community service, campus safety, student activities, the bookstore, and dormitory heads. Mary also serves as the chair of the emergency management group. Mary holds a B.S. from St. Lawrence University and a M.Ed. from the University of Vermont and is the parent of a Loomis alum. A 1986 graduate of Loomis Chaffee, Lynn returned to the Island in 2004 as director of alumni and parent relations. During her tenure, Lynn also has served as a dorm head, senior assistant to the head of school/secretary to the Board of Trustees, dean of enrollment, and director of strategic communications & marketing. She currently oversees the office of strategic communications and marketing. Lynn holds a B.A. from Franklin and Marshall College and an M.B.A. from Babson College. Amy joined Loomis Chaffee in 2007 as an Associate Director of College Guidance and became the Director of College Guidance in 2014. In 2018, Amy moved across campus to Sellers Hall to become Dean of Enrollment, returning to the admissions work she had done prior to coming to Loomis as both an Assistant Director of Admission at Georgetown University and as Director of Admission at McDonogh School (MD). Amy is the spouse of M. Brian Thompson, LC ’87 as well as parent of Olivia (Class of 2018), Caroline (2020), and Grace (2022). Amy holds a BA from the University of Richmond and MA in English from Georgetown University. 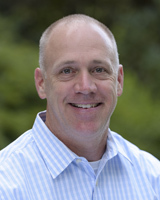 Webster Trenchard joined Loomis Chaffee in 2000 as associate director of college guidance. In 2007, Webb became director of college guidance and in 2014 was appointed dean of academic affairs. In that role, Webb oversaw the school's curriculum and academic program, the library, the Alvord Center for Global and Environmental Studies, the academic office, college guidance, the Loomis Chaffee Summer Program, experiential learning, and writing across the curriculum initiatives. 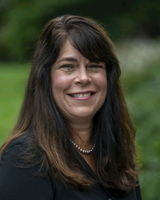 In 2016, Webb was appointed associate head of school. In that capacity, works closely with Sheila Culbert and oversees the academic program as well as the Alvord Center, college guidance, the LC Summer Program, experiential learning, writing initiatives, athletics and multiculturalism and inclusivity. Webb also teaches in the English department, serves as a dorm affiliate and has coached. Webb holds a B.A. from Amherst College and an M.A. from Dartmouth College.